This athlete was featured in our 2017 Sports Issue. You can find other profiles here. It was a summer night when Korie Paquette received a phone call from her teammate and friend, Christopher Berneck, who was sobbing on the other end of the line. Through his tears, he asked her to meet him in person. Without hesitation, Paquette agreed to see her fellow Ryerson Rams figure skater. When she met him in the parking lot outside of her downtown Toronto apartment building, Paquette could see he wasn’t his usual self. He didn’t have the same golden hair that matched the provincial medal he’d won the year before. Instead, his hair, now back to its original brown, was just longer than an average buzzcut. “That night in the parking lot was when Chris told me he had cancer,” said Paquette. Berneck had just started chemotherapy to battle colon cancer, a process that made his illness seem real for the first time. Upon hearing of his diagnosis—almost a month before he broke the news to Paquette— Berneck was in disbelief. The chemotherapy took its physical toll on Berneck, but it didn’t distract him from what he loved most. As someone who never took a vacation longer than two weeks without bringing a pair of skates, Berneck made sure not to lose focus on what made him happy. “After talking to my doctor, I just kept training, going back to the rink, and just tried to live my life the way I always had,” said the 24-year-old. Before coming to Ryerson in 2015 to study fashion communication, Berneck had already established himself in the international figure skating community by representing his home country of Germany at the 2014 Sochi Olympics. Berneck always thought of himself as a natural competitor, but for the first time, he knew he was up against a challenge he couldn’t control. Besides trying to live a healthy lifestyle and listening to his doctor’s orders, all Berneck could do was hope for the best. One aspect of his treatment that helped him cope was that his doctor and therapist at the time both encouraged him to continue skating. “Coming to the rink each time made me feel like I was safe, that I was at home,” said Berneck. There were days on the ice where it was clear Berneck wasn’t at full strength, and he was even forced to miss the Rams’ first competition of the year. But that setback didn’t stop him. Instead, it pushed him to come back even stronger. 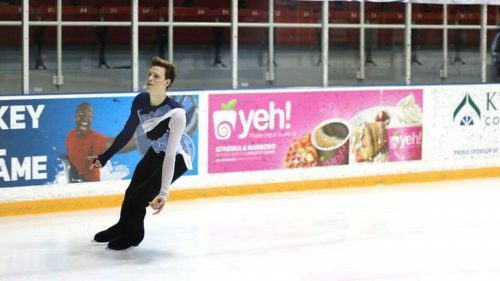 When Berneck enrolled in the only program he applied for, he didn’t even know Ryerson had a figure skating team. A season later, he had become their leader. Along with taking on a captain’s role, Berneck decided to do something he had never done before in his career: join a synchronized skating team. Instead of dominating the ice with his powerful and swift movements as a solo skater, Berneck decided to put his faith in the hands of his teammates. It required him to be there for every practice, knowing no routine was possible without every participant. Berneck’s selflessness never spoke louder volumes than on May 14, 2016—the day he found out he had cancer. He was at his friend’s graduation dinner party in Durham, N.C., when he learned of his diagnosis after a pair of emotional phone calls with his mother and doctor. With his actual family still in Germany, Berneck found support in his fellow Rams, who became like a second family to him throughout his battle this season. It’s a special relationship for Berneck, who at 13 years old moved with his family from Germany to Delaware. At 18, he and his father moved to Barrie, Ont. while his two siblings and mother went back home. During that time, the ice rink was Berneck’s oasis, with his latest home becoming Ryerson’s Mattamy Athletic Centre. Berneck’s bond with his teammates continued to grow, as Feb. 8, 2017 became one of their most memorable days. It marked the moment Berneck learned he was officially in remission. A week later, Berneck was back in his natural setting on the ice, but his focus wasn’t on defending the men’s free skate title he had won a year earlier. Throughout the two-day Ontario University Athletics (OUA) championship, Berneck enjoyed every second surrounded by his teammates. When it was time for him to compete on the first day, Berneck didn’t feel pressured. He was just relieved to be back where he belonged. Just minutes before he was set to compete, Berneck had an emotional conversation with Wilson, which forced them both to hold back tears. Berneck then took to the ice to deliver another memorable performance. As he set himself up at centre ice, ready to take his turn position, Berneck had a flashback. He reflected on everything he went through the past year, from the low points of his illness to the journey he went through with his teammates. Berneck would finish with silver, losing to Denis Margalik of Western University, a skater he had been competing against since his days in high school. 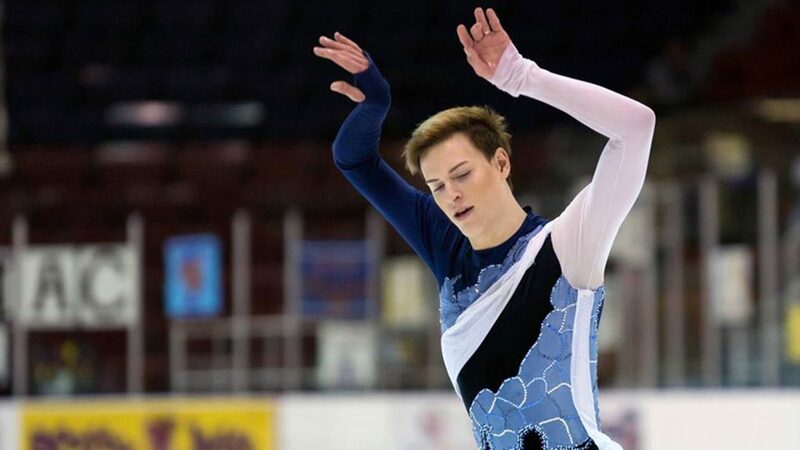 The result didn’t matter for Berneck going into his single event, but the competitive atmosphere would nearly overwhelm him the following day as he prepared for his first synchronized competition. Despite competing on the world’s biggest stages in cities from Berlin to Zagreb, it was in St. Catharines, Ont. where he felt a sense of pressure he had never experienced before in his skating career. When he and his teammates hit the ice, Berneck refused to let his emotions overtake the hard work he put in all year. He was able to take part in another incredible performance, which ended with its own piece of history. The synchronized skate was the most anticipated event of their season, and the Rams had to wait until the bitter end to find out their result. The wait proved to be worth it for Berneck and his teammates. Their weekend came to an end with another silver medal—the best finish in program history for a synchronized event at the OUA championship. Clarification: Berneck represented Germany at the 2014 Sochi Olympics as an alternate. He did not compete.